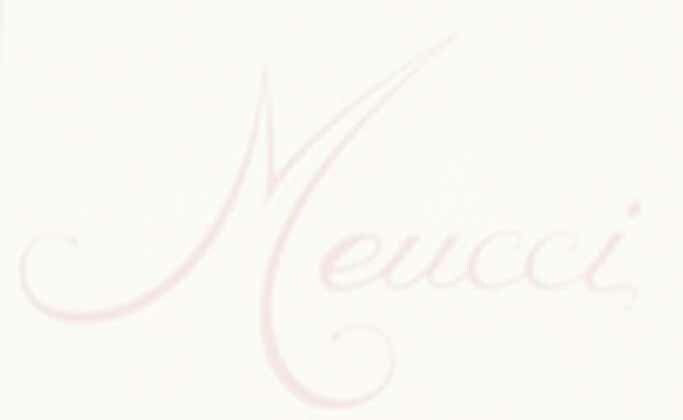 Meucci Collectable Cues by Discount Pool Cues also collecting cues by Meucci Originals like Meucci mo-1, mo-2, mo-3, special edition, limited edition, limited production and original Meucci cues, meucci rose cues, david howard meucci cues, buddy hall rifelman cues by meucci, earl strickland cues by meucci cues, jim rempe and lori john jones cues by meucci. 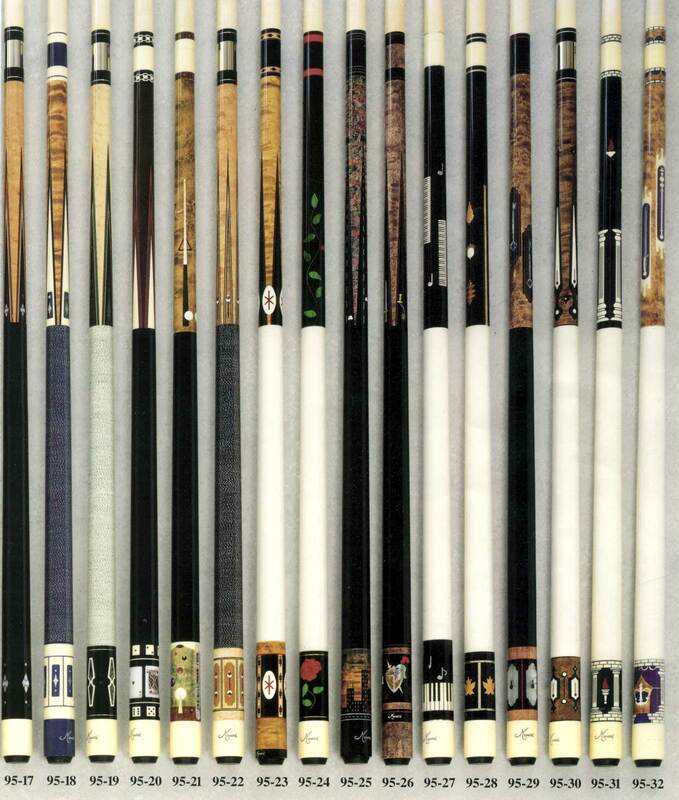 Some of these cues are still made today as 97 series or converted cues like here are some examples! heres something you may not know! the original Piano Cue has some roots back to the Beatles! the 95-32 in a special version made for "King James Rempe" was sold for tens of thousands of dollars! The 95 series cues have many cues that were carried over to the 97-line and the hOF series like the95-11 is now the hof-1 and the 95-12 is the hof-2 etc. you'll see the similiarities. 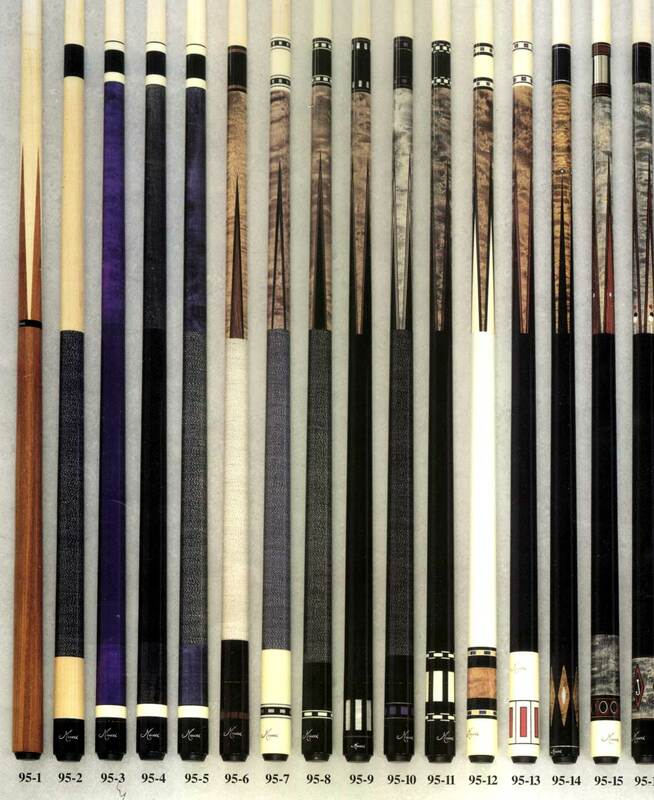 Many of the meucci cues like the 95-17-32 were cue models prior to that also you will recoginize that some of these models like the 95-23 and the 95-30 were converted into player endorsed cues like the jim rempes and david howards.